Here is the book. The Foreword is a great place to start of course. * Add this to the growing list of widely-used textbooks that are available OA. * Who’s backing this is also noteworthy. It’s not an author who negotiated the right to self-archive a copy, or an OA startup publisher; it’s a scientific press and the National Library of Medicine. * The first edition of the book has been OA since 2003. Apparently, the impact on sales of the print copy hasn’t been overwhelmingly negative, or it seems unlikely the publisher would support OA to the new edition. 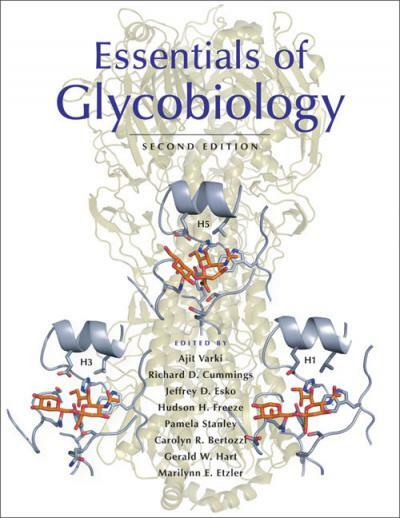 Glycobiology is a most fascinating area that continues to gather interest over time. I applaud all involved for contributing to and publishing this work to the widest audience on the planet. This entry was posted on May 25, 2016 at 3:18 pm and is filed under Uncategorized. You can follow any responses to this entry through the RSS 2.0 feed. You can leave a response, or trackback from your own site.